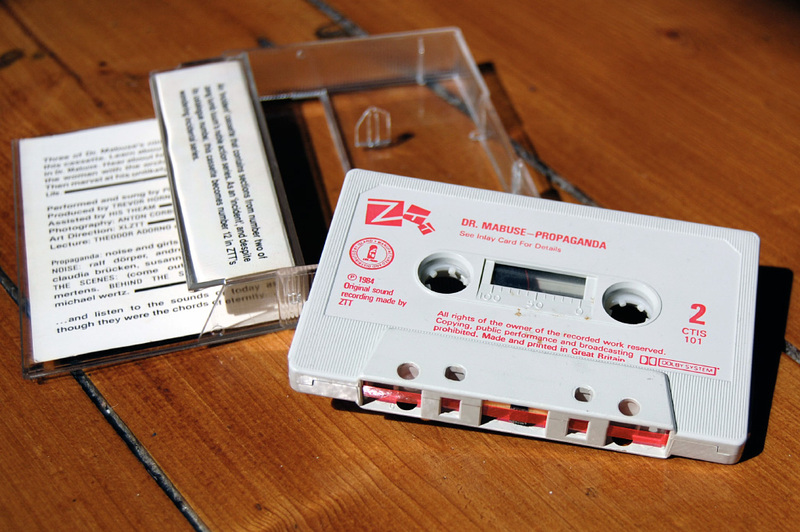 However, that is not what appeared on the cassette. No, that would be far too straightforward for a ZTT release, wouldn’t it?! 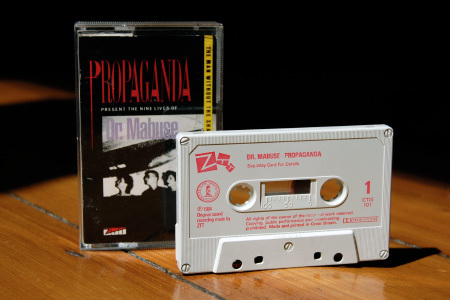 The truly splendid, 10 minute long work that is’ Das Testament Des Mabuse’ made good use of the extended cassette duration, with the more familiar 7″ inch mix ‘Dr. Mabuse (A Paranoid Fantasy)’ alongside. No place then for the woman with the orchid, sadly. 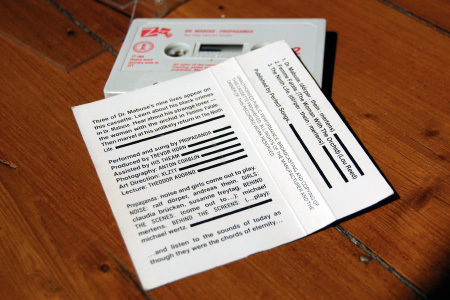 The tracklist repeats the same programme both sides of the singlette. Why the tracklisting was incorrect, I don’t know. The outside of the inlay also states “An ‘incident’ cassette that contains sections from number two of zang tumb tuum’s noble action series. As an ‘incident’, and despite its catalogue number, this cassette becomes number 12 in ZTT’s wondering incidental series.”, in familiar ZTT style. The cassette shell is a fairly standard moulded design, nowhere near as elegant as the later ‘Complete Machinery’ singlette would come housed in. This entry was posted on Tuesday, March 27th, 2018 at 7:25 pm	and is filed under Cassette pets, Versions, versions. You can follow any responses to this entry through the RSS 2.0 feed. You can skip to the end and leave a response. Pinging is currently not allowed. I attended the first night… occasional feedback squeals and all. 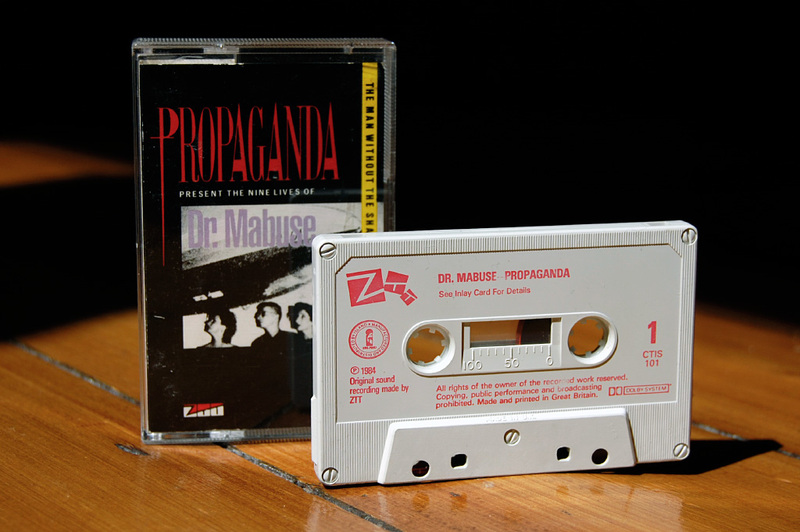 I don’t have the Japanese CD, so not sure which one is on there but I think it is one and the same as the version on the cassette and one of the original UK 12″ singles: https://www.discogs.com/Propaganda-Presents-The-Nine-Lives-Of-Dr-Mabuse/release/26790 – which is different to the version on the initial UK CD version of a ‘A Secret Wish’. 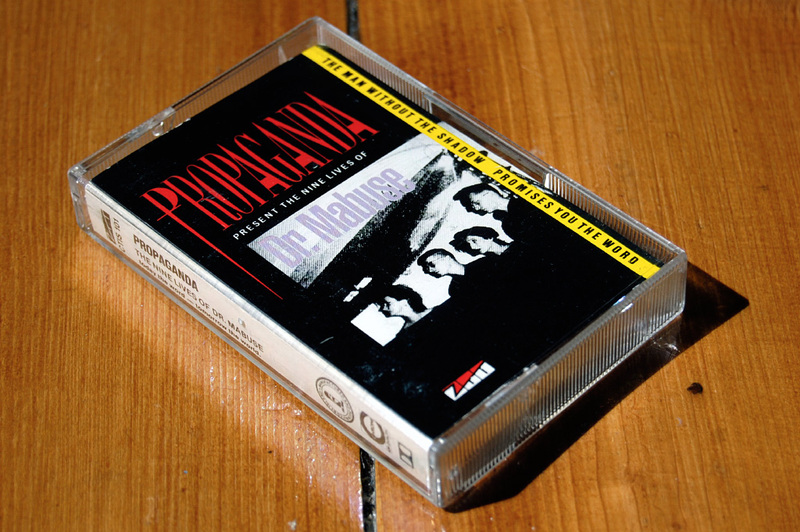 The original album CD version mixed the more orchestral ‘The Last Word / Strength To Dream’ into the mix round about the 9 minute 30 secs mark, whereas the original 12″ is much more synth-based on its closing. The 12″/singlette mix is quite possibly my favourite mix – it also appears on the ‘Noise and Girls Come Out To Play’ compilation?